Tartaruga Maritima offers luxury self-catering tents in Ponta Malongane from R520.00 pp sharing a Double Tent with en-suite Bathroom. 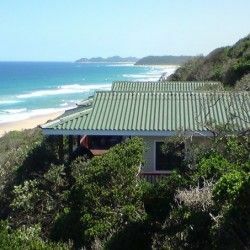 Situated in Kangela Estate, Ponta Malongane, just 16km’s from the SA border, the exclusive Tartaruga Maritima awaits you - with its lavish en-suite tents erected on wooden decks and modern, communal self-catering facilities. 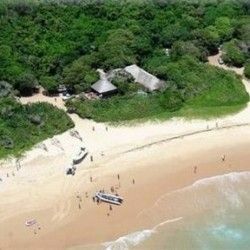 Nestled immediately behind the primary sand dunes, Tartaruga is linked to the beach by wooden walkways – experience the ultimate in tranquillity and privacy under a canopy of indigenous forest. The raised communal dining and living area overlooks the long, uninterrupted white sandy beaches of Ponta Malongane. This luxury camp has a scenic pool area, beach deck (ideal setting for sundowners) and a ‘bush style’ lapa. The extremely well-equipped catering facilities are up to date and spacious - and equipped to handle an intimate beach wedding. Tartaruga’ s lapa is the perfect spot to unwind with a group of friends around the evening fire or, on those sultry summer evenings, the swimming pool may be the preferred choice. The 5 double and 3 triple luxury tents are spacious, secure and tastefully decorated. En-suite bathrooms, electric fans, tea/coffee machines and comfortable beds ensconced within majestic nets ensure complete contentment. Border transfers available at R800.00 per vehicle (return) - 6 People Max. Giant Leatherback & Loggerhead Turtles nesting ground along the beach in front of the camp. Normal fuel & diesel are available at Ponta do Ouro however unleaded fuel is not available there. There is a very well stocked supermarket for groceries and hardware at Manguzi where any last minute shopping can be done.